Samuel Shem’s classic novel about medical internship, THE HOUSE OF GOD (1978), was recently named by the British medical journal The Lancet as one of the two most important American medical novels of the 20th century, the other being Sinclair Lewis’ ARROWSMITH. It has sold over two million copies, in thirty languages. John Updike wrote in an introduction to the 25th anniversary edition: “It glows with the celebratory essence of a real novel…A tale of venture into the valley of death and the truth of the flesh…more timely than ever.” Newsweek listed it in 1999 as “the novel to read about becoming a doctor.” The sequel, MOUNT MISERY (1996), about psychiatric residency at a mental hospital of that name, has been called “another medical classic,” and, by the Boston Globe, “outrageously funny, a sage and important novel by a healer and a Shakespearean.” These novels have been bestsellers in America, Germany, Spain, and the Czech Republic. Shem is also the author of a FINE (1986), a novel about a psychoanalyst (“Funny…Full of dazzling, zany intelligence…energetic and exuberant”—New York Times”), THE SPIRIT OF THE PLACE (to be published in March 2008), and THE MISSING GIRL, a novel set in China (manuscript). A 30th anniversary world-wide symposium—“Return to THE HOUSE OF GOD: Medical Education Revisited 1978-2008”—will be held at the Cleveland Clinic in October 2008, and published by Kent State University Press. Two of Shem’s plays, ROOM FOR ONE WOMAN and NAPOLEON’S DINNER, have been published in THE BEST SHORT PLAYS anthologies. 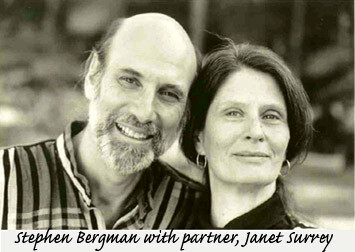 With his wife, Janet Surrey, he is the author of BILL W. AND DR. BOB, a play about the relationship between the two men who founded Alcoholics Anonymous, which was named one of the “ten best plays” of the season in San Diego, is published and represented by Samuel French (2007, www.samuelfrench.com), and was an Off Broadway hit with 148 performances at the New World Stages in 2007 (www.billwanddrbob.com). The DVD of the Off Broadway production is available from Hazelden (www.hazelden.org). BILL W. AND DR. BOB and Shem and Surrey were awarded the 2007 Performing Arts Award by the National Council on Alcoholism and Drug Dependence. Shem and Surrey are also authors of a nonfiction book, WE HAVE TO TALK: HEALING DIALOGUES BETWEEN WOMEN AND MEN (1999, Basic Books) which received the 1999 Paradigm Shift Award of the Boston Interfaith Counseling Service, and a curriculum for middle/high school students, MAKING CONNECTIONS: BUILDING GENDER DIALOGUE AND COMMUNITY IN SECONDARY SCHOOL (2007, Educators for Social Responsibility).